You have talked with my husband Mark in regards to a storage bin for the back yard. We have to get an okay from our so called HOA. I have an ACC application that I need to fill our for them and they want all specifications to build this unit. Would you please help me with that? Mark is interested in the 8×8, no windows and no ramp. The color of this has to be same as the trim on the house. Now, do you do that or do we do that? Daniel is who referred us. Thank you. Our buildings are unpainted so you take care of that. HOA information can be found at the following locations. Hi Jerry, Is Wimberley within your travel area? If so, I am interested in having you build a small barn shed (8×12) Wimberley is about 25 miles south-west of Austin. Yes, I talked with you on the phone, thanks for the order. Is Temple Texas in your service area? I’m interested in the small 8×8 barn for my property. I live in the city limits of Brownwood tx. I also am interested in having a small deck built on to the side of my master bedroom. I think your work looks awesome and I’m very interested. Thank you for your time and help. 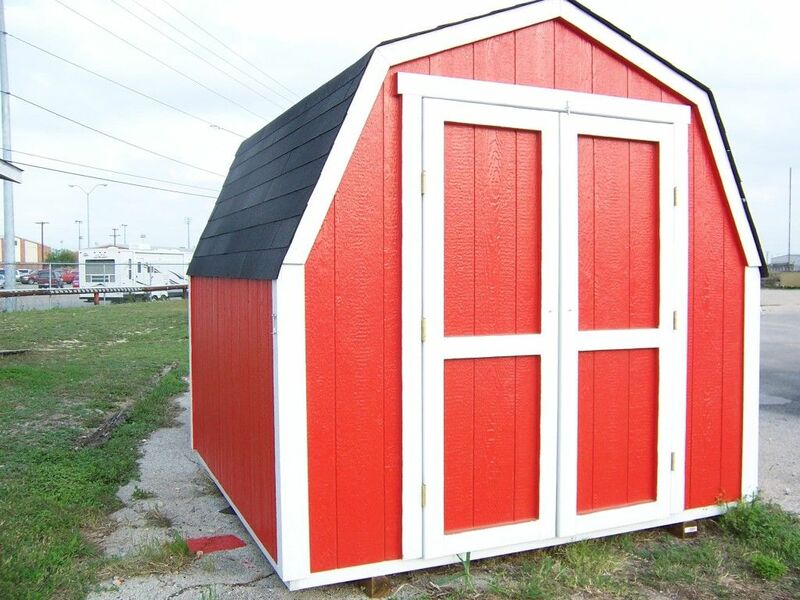 Jerry I need a 10 X 12 small bran with 2 windows – Build in my back yard. Gate to yard 9′ wide – I live in Fredericksburg TX. Is this in your range ?? I understand price would be around $1835.00 plus tax ? Unpainted.